Leo DiCaprio, cinema, books, music. I found this today, I made a screenshot of this stories saying a new and full trailer for Once is coming very very soon. So I went to look at the guy IG and he's a film producer/film editor... I guess he know what he's talking about, hopefully it's really an accurate info. This below is just to show his IG account. But don't spoil the endgame, lol. Well, even her father have a pic of Leo in his house... why Bar wouldn't have a whole album? I love it too, ox. I prefer his hair like that than with gel. Guys, someone at tarantino_news IG noticed that poster behind them could be Rick Dalton starring at some movie, I do think it looks like him, the eyes and hair, and that place seems to be the parking lot of his house probably, look at the famous yellow car and the blue car Cliff drives too. What you think? You beat me once again, ox. Not enough gel, and Rick looks mad, hehe. Jane talks about Leo in the interview below. 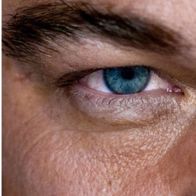 https://news.mongabay.com/2019/04/jane-goodall-on-leonardo-dicaprio-her-85th-birthday-and-the-need-for-hope/ Also, apparently Leo is in NY, I hope we get some new pics. And I wonder if he will participate of some Earth Day event? Haha, it could be. We know Leo loves to repeat clothes, which is also "environmental friendly". @Jade Bahr completely agree with you, well said. 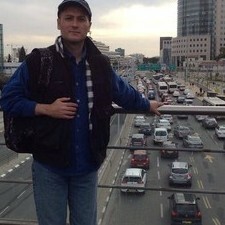 ox: thanks for the new pics. The hoodie is back, but at least he's not hiding his face and he's smiling, wish the pics were not so blurry. 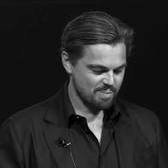 At 32:00 he starts talking how Leo got involved in the project, I love how he described how "Leo really cares" about climate change, there were no cameras, just them having a conversation and how passionate Leo talked about the issue. 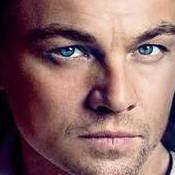 (Unfortunally a lot of people doesn't beleive in his good intention, and prefer to blame Leo or accuse him of hyprocrite). Of course Leo is no perfect and once in a while he will not be "environmental friendly", tell me who can be 100%? but still he's doing a lot to help while a lot of people don't do nothing and feel the right to judge him, very easy to judge without doing nothing to help. thanks for the article jade. A couple more of screencaps.